Do you like pumpkin? And do you know pumpkin is a fruit instead of vegetable. 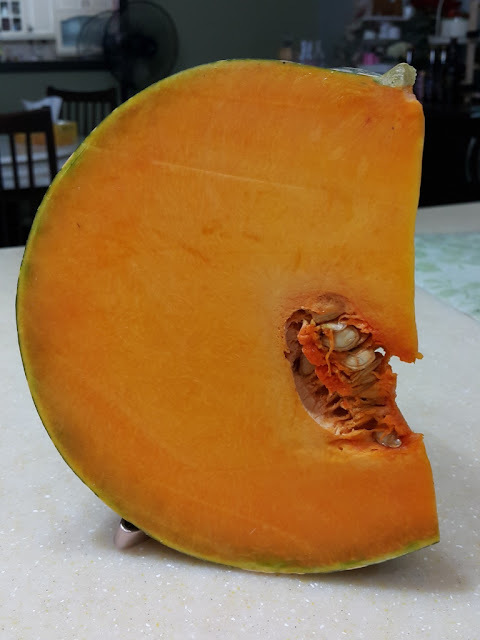 Or just because pumpkin consist of seeds that it is considered as a fruit. Pumpkin is very versatile in cooking. 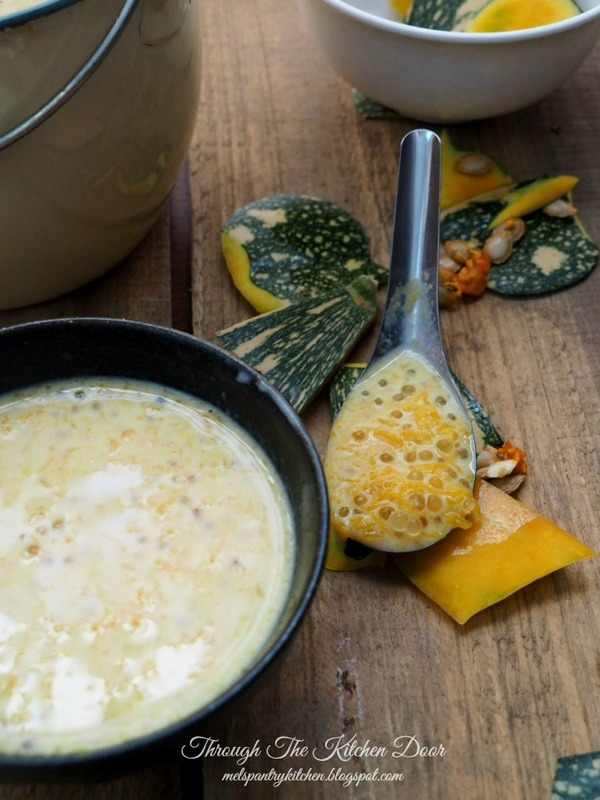 You can used pumpkin as a sweet dessert and you can used it as savoury dish too. I preferred to use pumpkin as a sweet dessert. 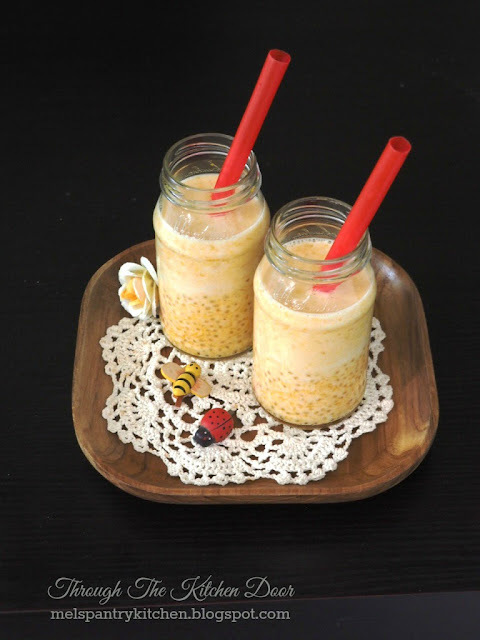 I have made Pumpkin Sago Dessert last year and it taste absolutely heavenly good this dessert. 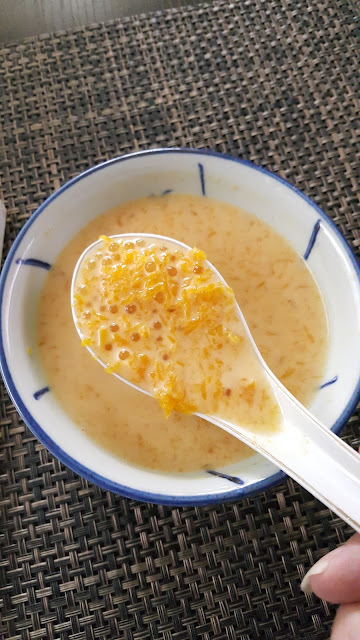 Today I am posting a very similar pumpkin sago sweet dessert but this time is more diluted watery. Bring a medium pot of water to boil. Once the water comes to a bubbling boiling, pour all the sago pearls in. Cook the sago in high heat for about 10 minutes or translucent; stirring constantly. (do not worry if the sago still has white spot in the middle). Cover the pot with lid and let it stand for 5-8 minutes for the sago to cook further in the pot. Using a sieve, run the cooked sago thru running water to remove access starch. Pour into a bowl and set aside. Steam the dice pumpkin until soft. Drain the pumpkin if there's water in it. While the pumpkin still warm, using a potato masher, roughly mash the pumpkin. 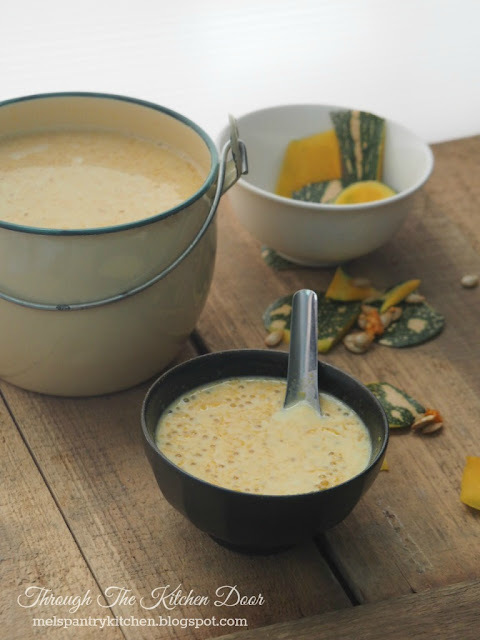 (You can blend till fine the pumpkin; but mashing it roughly give some biting texture when you are eating it later). Set aside. In a clean medium pot, add the 1000ml water, sugar and pandan leaves. Bring to boil till sugar dissolves. Boil another 2-3 minutes to bring out the pandan leaves aroma. Discard the pandan leaves. Add in the mashed pumpkin and sago. 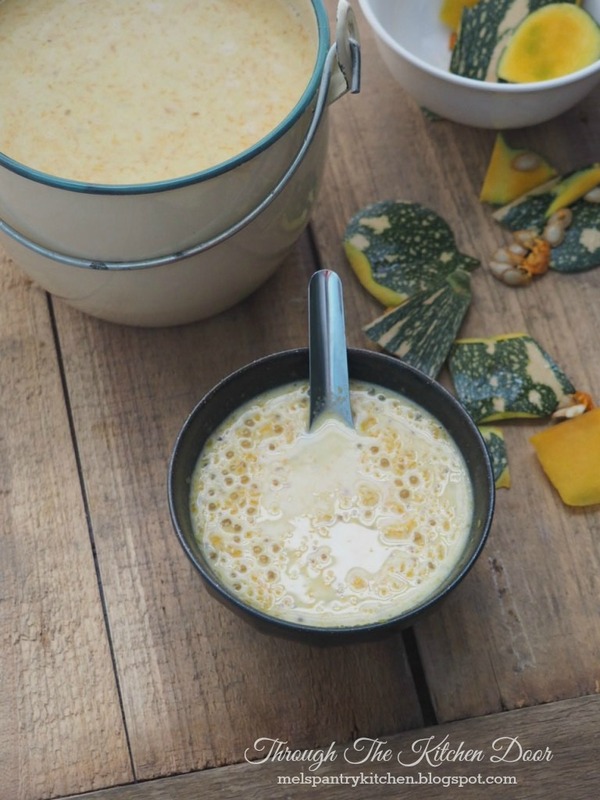 Once it's come to a boil, pour in the evaporated milk and immediately removed from heat. Done! For this dessert, I am using this Australian pumpkin; big portion in flesh with little seeds in it... I love this pumpkin with its dark vibrant in colour though it is quite costly. 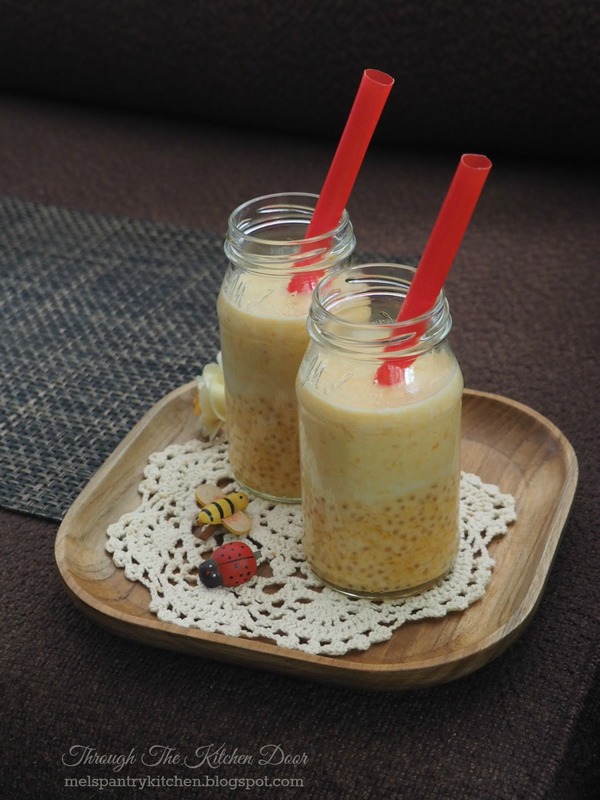 One thing good about this sweet dessert is, you can enjoy either warm or cold whichever way you want. Taste absolutely delicious and yummy! Try it, yummy! Serve it warm, soothing, serve it cold, refreshing! Mel, that's a lovely dessert. I love pumpkin!